The trickle of returns continues. 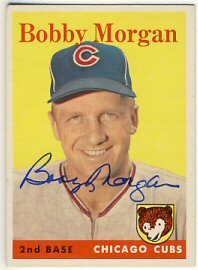 Today, Bobby Morgan returned a 1956 and 1958 Topps. My requests are really trickling in. 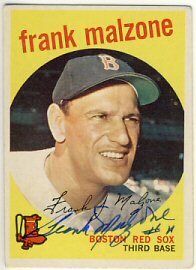 Today brought a return from Frank Malzone, who generously signed his 1956, 1959 and 1961 Beantown Bombers cards. I received an unusual Tuesday return today. 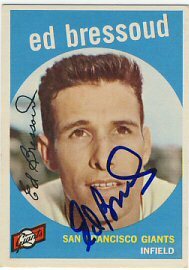 Eddie Bressoud signed a 1958 Giants team card, as well as a 1959 and 1966 Topps. 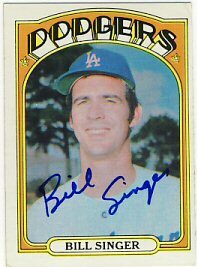 The team card got a little smeared, but not too bad. I sent a 1953 magazine to Curt Simmons today. I haven't sent many larger items like this lately, but might start sending a few more. 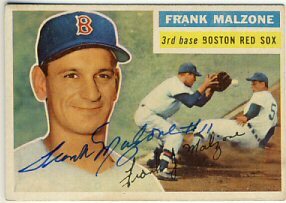 I have about a dozen Gold Glove baseball I might send out. I've mostly given up trying to buy new cards by the pack. 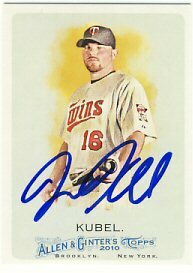 I'll buy the individual cards I want instead, which usually includes just the Twins team sets I want to get signed. 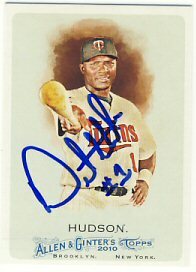 For some reason I decided to buy a box of 2012 Topps Heritage at Target today. I mostly just wanted to see what they looked like. 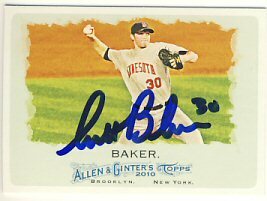 I pulled a few Twins, including Jamey Carroll, Scott Baker, Ryan Doumit and a Rookie Stars card that includes Chris Parmelee and Pedro Florimon Jr. (who?). 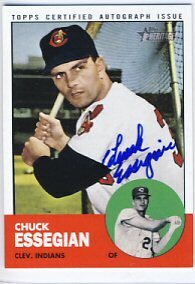 I also pulled a Real Ones Autograph of Chuck Essegian. I've gotten Mr. Essegian through the mail a few times. 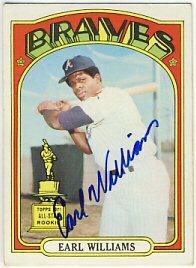 This card is selling for about $20 - $25 on Ebay, which is about what the box of cards cost. 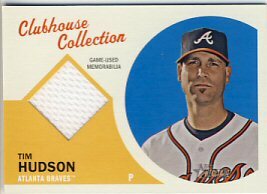 I also pulled a Clubhouse Collection game used jersey card of Tim Hudson. This is maybe a $3 card. So I got lucky, and pulled a couple cards that made the box worth what I paid for it. which is better than I usually do. The only other time we've done okay was when my younger son had his 8th birthday party and gave each kid at the party a pack of 2007 Topps Heritage as part of their party favor bags. 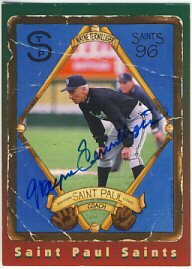 My older son got a pack from the party and pulled a Luis Aparicio signed card. I managed to find enough cards to prepare eight requests that will go out in tomorrow's mail. 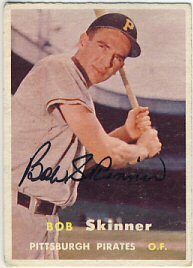 Bob Skinner signed his 1955 and 1957 Topps in about 10 days. I have about 10 more requests out that I hope to receive soon. 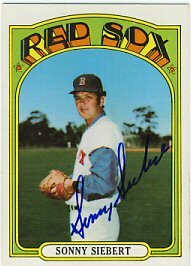 I don't have many cards to send out, but I hope to send out at least five requests over the weekend. I'm a couple days behind, but received some really nice vintage returns on Monday. 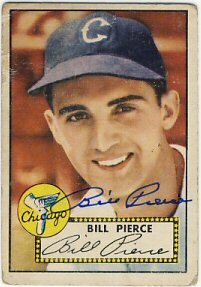 Billy Pierce signed his 1952 and 1956 Topps. 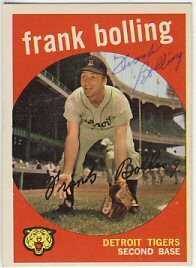 Frank Bolling signed his 1959 and 1960 Topps. 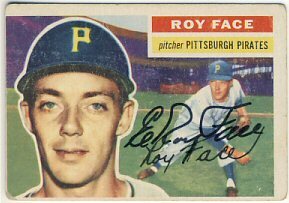 And Roy Face signed a 1956 Topps. I still have a few requests out that could come back any day. I found three returns waiting for me in the mailbox today. 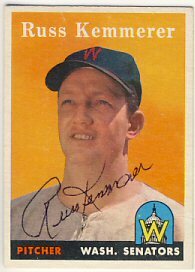 Al Rosen was kind enough to sign a 1953 Topps for me in about 9 days. 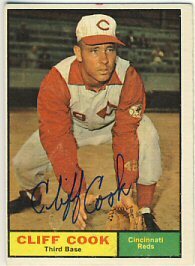 Cliff Cook signed his 1961 Topps. I enclosed $5 with my request. 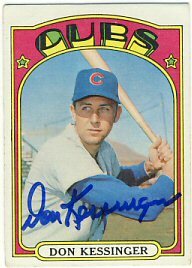 Don Kessinger signed a 1970 and 1972 Topps for me. 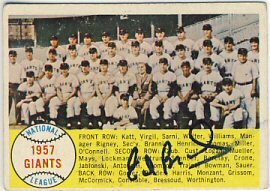 This makes number 355 for my 1972 set. I sent off a few cards to some Chris Potter signings. 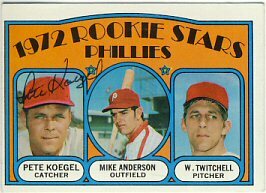 A couple 1965 Topps and some 1972 Topps. I won't get those back until late next month though. My returns are coming back now. Today I received four returns as well as a purchase from a fellow Sportscollectors.net member. 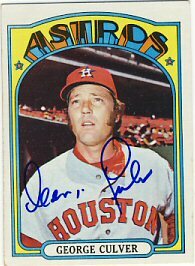 Doug Rader, a tough ttm signature, signed his 1972 Topps for me. 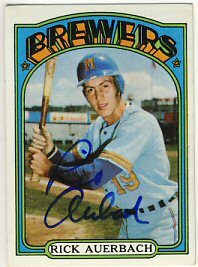 I recently purchased this signed card from Chris Potter via Ebay, but when I saw some ttm requests being received by other SCN members, I decided to give it a try myself. 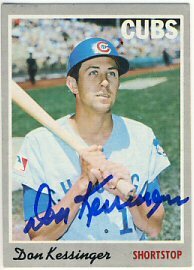 Pete Koegel signed his 1972 Topps for me. 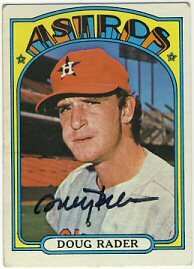 Mike Anderson is a tough autograph so I won't risk sending this through the mail to him. 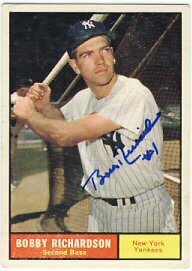 Twitchell has passed away. 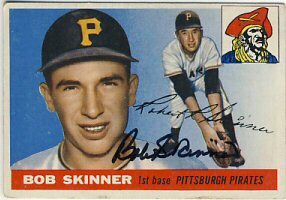 Bobby Richardson signed his 1961 Topps for me. I sent this card last November. 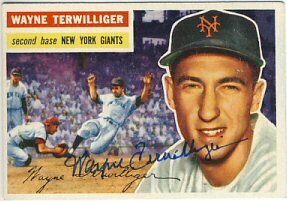 Wayne Terwilliger signed his 1956 Topps and also enclosed a signed St. Paul Saints card for me. I enclosed $5 with my request. 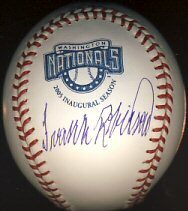 Finally, I purchased a 2005 Washington Nationals inaugural year ball signed by Frank Robinson from a member on SCN. It is Steiner authenticated. 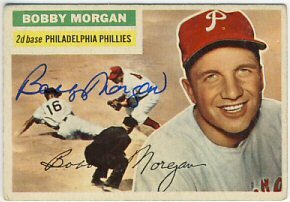 I already have two baseballs signed by Robinson, but I got it for a good price so I couldn't resist. I should probably resist more often though. My requests are starting to trickle back. 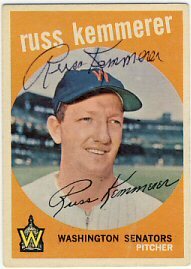 Today I received a very nice return from Russ Kemmerer. 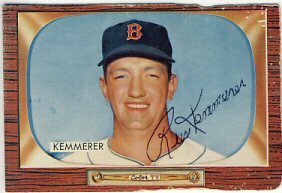 In addition to signing a 1955 Bowman, 1958 Topps and 1959 Topps, he responded to my letter regarding his career after his playing days. 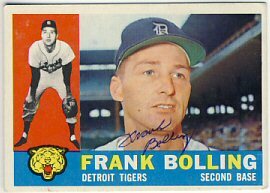 I also received a few cards I purchased on Ebay so I can begin sending out a few more requests. 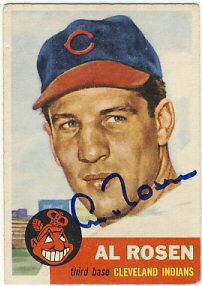 Still no ttm returns, although I have sent out another 10 or so requests this week. I should start getting a few back very soon. 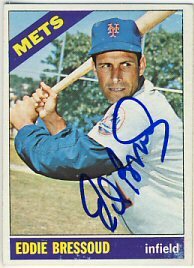 While preparing for a Chris Potter Sports signing, I was looking for some 1972 Topps on Ebay. 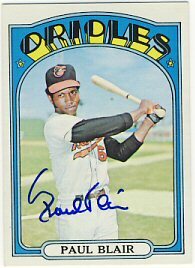 However, I came across signed copies of some 1972 Topps for sale, also from Chris Potter. 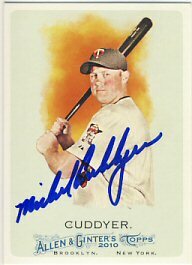 So, I was able to but a few for cheaper than it would have cost me to buy unsigned cards and send them in to his signings. 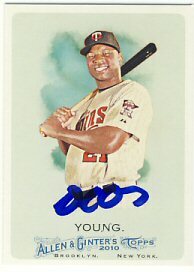 I did also buy some unsigned cards to send in as well. 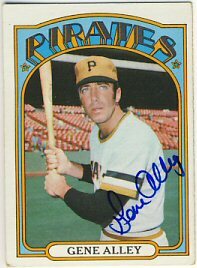 I ended up buying 9 signed cards including Bill Singer, Paul Blair, Doug Rader, Rick Auerbach, Darrel Chaney, Sonny Siebert, Earl Williams, Gene Alley and George Culver. 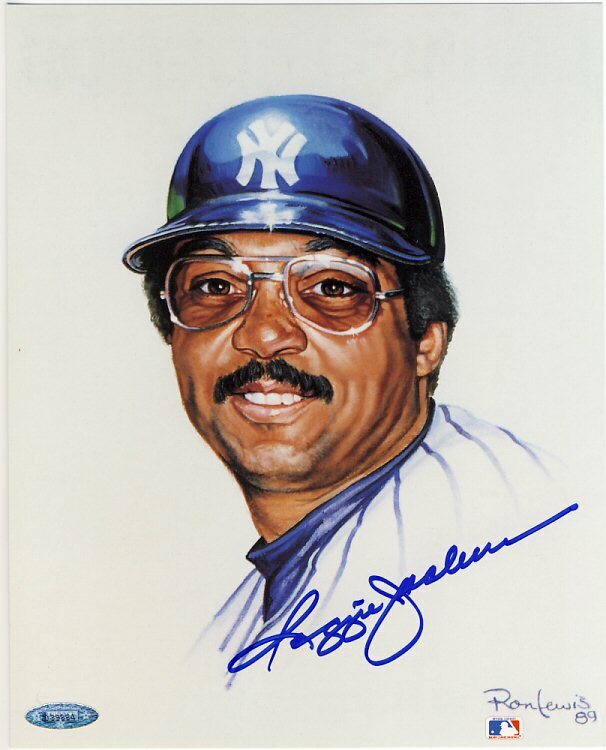 I bought another Ron Lewis Living Legends signed portrait. This time, Reggie Jackson. 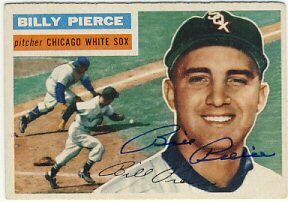 I bought this from InsiderSportsDeals.com, which is a TriStar web site. 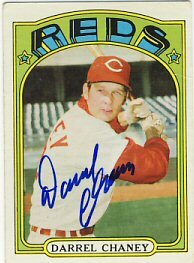 It is also authenticated by TriStar. I haven't sent out many requests and only have 2 or 3 outstanding that I expect to come back with any certainty, so things will be slow for a while. A nice surprise today. 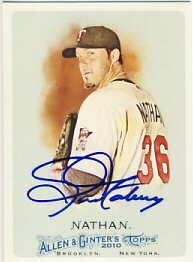 I sent a card to Joe Nathan at the Ranger's Spring Training address. 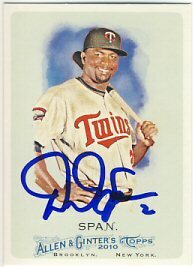 He was a good signer both in person and through the mail when he was with the Twins so I was hoping that would continue. It appears it has. I'm doing surprisingly well on this team set. 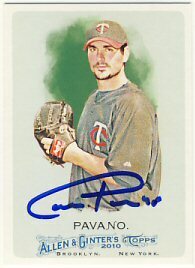 I also have Pavano, Young, Span, Kubel, Cuddyer, Hudson and Baker. I still need Mauer, Thome, Morneau and Liriano. 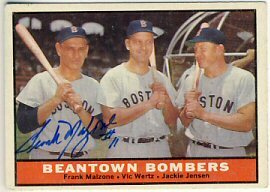 Thome will be tough (and expensive), but with some luck, I could get the other three at TwinsFest next year.